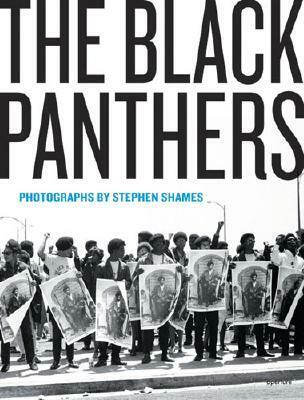 In a few words this photography book gives an indepth look into the daily life of the Black Panthers. I am a reader who needs to be eased into intense historical accounts, this book has motivated me to read more first person accounts of that time period. Much of the mainstream history of the Black Panthers focusing on their philosophy of self-defense against oppressive authoritative forces (e.g. police & military), and neglects their work to uplift their communities. There is an attempt to make leadership in the Black Panthers into an equal opportunity thing. I disagree with this idea because there are many accounts of how women were relegated to the sidelines. And just because one or two women managed to make it to the forefront of the organization doesn't make the organization or movement truly invested in equal participation. That was a bit of a side rant. I still was inspired by the organization and the goals that they wanted to achieve. My only real criticism of the book is it's structure. The book starts with an intro and foreword, then the bulk of the photographs followed by an index of captions/descriptions of the images. I personally prefer to have explanations with the photos. Otherwise this was a great book to read and be inspired by. A striking visual chronicle of the organization, though after reading Jamal Joseph's Panther Baby, I was hoping for more East Coast representation. Moving nevertheless!